Machine learning is powering innovation across industries, including media & entertainment, healthcare, finance, and many more. 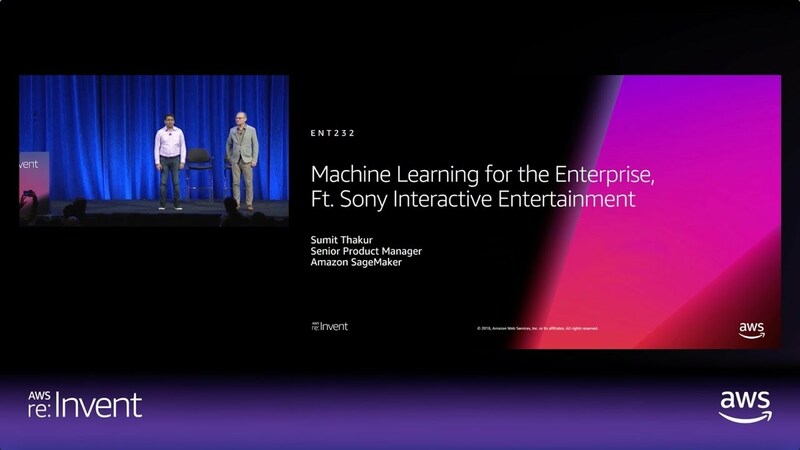 In this session, representatives from AWS and Sony Interactive Entertainment discuss building real-world scalable enterprise solutions with machine learning using Amazon SageMaker. Join us as we talk about managing large-scale systems and processes to get more value from data at any scale, with examples from Sony and AWS.